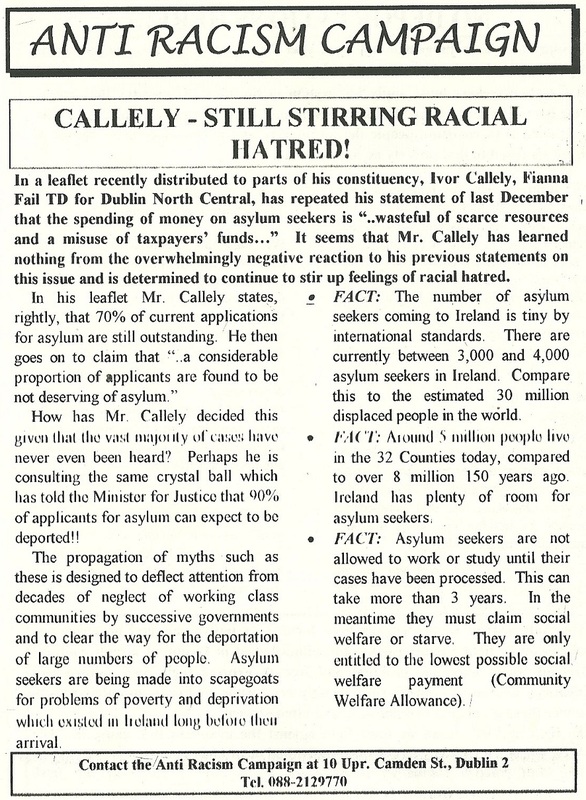 A 1999 leaflet from the Anti Racism Campaign aimed at then Fianna Fail TD Ivor Callely. 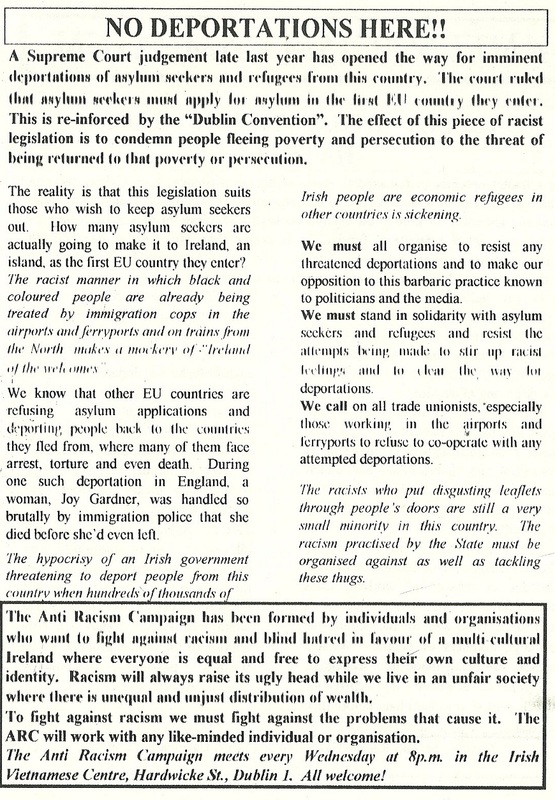 In 1997 he had accused asylum seekers of begging off their neighbours and “carrying on a culture that is not akin to Irish culture”, such as the “bleeding of lambs in the back garden” and in 1999 he called on the government to “get tough” on asylum seekers and “throw out” what he refers to as “illegal immigrants”. Claiming that Ireland has become a “soft target”, he has said that asylum seekers are coming here to “cash in on the benefits available”.